I graduated with a Bachelor of Science Degree in Information Systems Engineering from Campbell University, USA. For the past 15 years, I worked in a multinational company (HP, HPE and DXC) as an IT engineer with my last position as Solution Architect serving client all over the world. My expertise is in business intelligence and data analytics. In 2016, I decided to make a change to venture into real estate. I spent 2 years studies at INSPEN (under purview of Ministry of Finance Malaysia) to obtain my eligibility to become an Real Estate Agent. Read more here. In 2018, I passed all required papers and registered as a Probationary Estate Agent (PEA) and I'm now undergoing two years of practical training under the supervision of an Registered Estate Agent (REA) and submit work log to BOVAEAP. Graduate in estate agent studies, one step further to pursuit my goal as an registered real estate agent. Join the best agency. PropNex Realty Sdn. Bhd. Singapore's Largest Listed Real Estate Agency. Learn from the best. 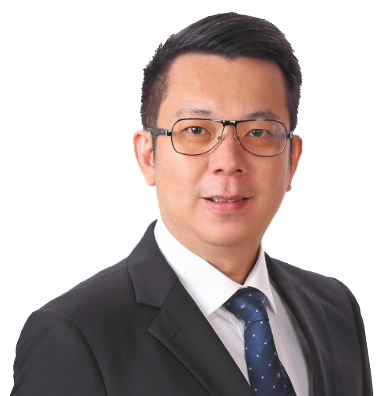 Raphael Wong - Asia’s No.1 Real Estate Marketing Coach. Nevertheless, my ultimate goal as a real estate negotiator is to connect home buyers and property sellers, by leading the right buyer to the right property. Same goes to rent and leasing. I specialize in the sale and purchase of properties in KLCC and Puchong. I've been born and raised in Kuala Lumpur. So, I'm familiar with the ins and outs of these place. Having seen and transacted many units in various developments here, I'm keenly up to date with market movements. So sellers and buyers trust me to advise on their transactions. There are many reasons some chosen to sell, here are some of the common ones. They need a bigger space. They have kids and want to Move near a particular school or near their parents. They want to upgrade their lifestyle. They want to Right size for peace of mind when it comes to monthly bank installment finally they see an opportunity and want to cash out and re-invest in or not. After understanding their need, I'll go through with them detailed solutions, which are specially tailer made for them and I show them how we can achieve those plan and targets. With much clearer understanding and a detailed plan in place my clients feel at ease with entrusting their property transactions with me. Many seller look for me because I take full ownership and complete commitment to them when it comes to marketing their property. They know they can count on me to implement creative digital and traditional marketing strategies which gives their listing the boost and edge over other units based on my 15 years experience in IT industry. I'm constantly on the ground so my sellers are closely up to date when it comes to buyer feedback preferences and neighboring units for sale. My sellers then feel confident and in the position to make informed decisions regarding the sale of their property. I'm glad I've assisted many sellers achieve very high prices within their development. Speak to me today if you are looking to buy or sell your property in KLCC and Puchong. Thank you and have a good day ahead. Thanks for contacting, we will reply you in 24 hours.